What are the Pyramids of Giza? The ancient Pyramids of Giza or the Great Egyptian Pyramids are not only the oldest of the Seven Wonders of the World—they are probably the only monuments to remain purely intact. There are three pyramids at Giza pyramid complex of which the Great Pyramid of Khufu is the biggest. Pyramids are believed to be built in about 10 – 20 years around 2,560 BC. The Giza Pyramids had long been admired as the tallest structures ever made by a man. The ancient name of the Pyramids was Khufu’s Horizon. We’ve compiled some of the most exciting Pyramids of Giza facts for kids. Perhaps it’s time to see many more interesting and fun facts about the Pyramids of Giza. 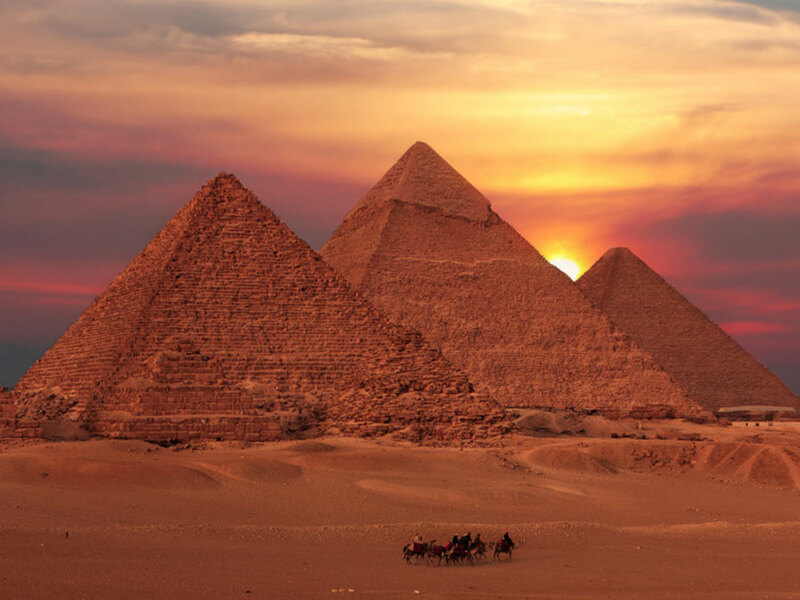 Since it is the most ancient of the Wonders of the World, Pyramids of Giza has rich history. According to Egyptologists, the Fourth Egyptian Dynasty pharaoh Khufu built the pyramids in 10 or possibly 20 years. The original length of the pyramids was thought to be 480.6 feet (146.5 meters). However in the natural course of time, due to excessive erosion the present height estimated at 455.4 feet. The length of the each base side measured at 755.9 feet (230.4 meters). The weight of the Giza Pyramids is estimated at 5.9 million tonnes. It has the volume of about 2,500,000 cubic meters (88,000,000 cubic feet). The Pyramids were built in a short span of 20 years. The builders must have installed 800 tonnes of stones each day to complete the entire structure in just 20 years. That’s almost the duration of Shah Jahan’s Taj Mahal construction. The Pyramids of Giza had enjoyed the status of the tallest man-made structures for as long as 3,800 years. The height of the Pyramid of Menkaure is estimated at 215 feet. It is also one of the true pyramids, made primarily of red limestone, white limestone, and casing. The entire construction of the Pyramids took approximately 20 years to complete. However, archaeologists aren’t sure about the time period. Some believe that the pyramids were built in 85 years. According to an estimate, the constructors might have possibly fixed 12 blocks per hour should they work all day and night. There are approximately 2.3 million blocks fixed in the Pyramids. Sir Flinders Petrie, an Egyptologist, was the first person who took measurements as early as in 1880 to 1882. He published the measurements in The Pyramids & Temples of Gizeh. According to Egyptologists, all stones are fixed with extreme accuracy. The pyramids have four base sides. Each of the sides are so accurate in length that there is a minutest difference of only 58 mm. The pyramid’s workmen had used granite stones and limestones for much of the construction. The heaviest granite stone weighed as much as 25 – 80 tonnes. The workmen transported from Aswan and nearby quarries. They used to transport heavy stones from 500 miles a distance. 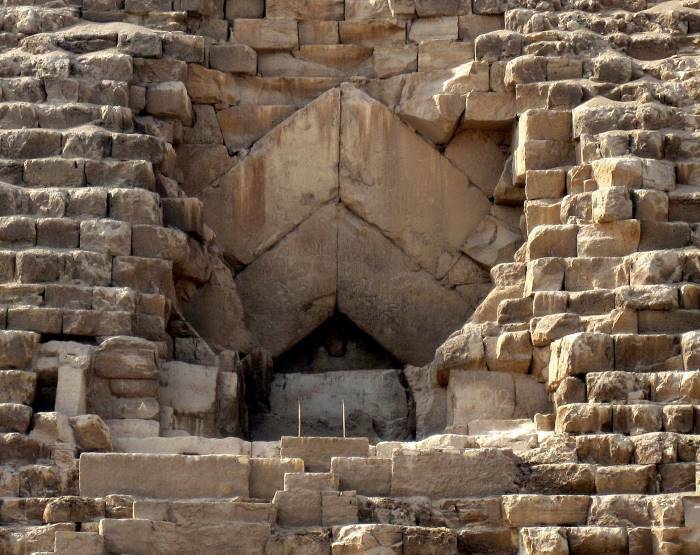 Pyramids’ workmen had cut the stone blocks using hammers and wedges. They would also soak the blocks into water to create a cut in the blocks. The constructors had carried the pyramids’ blocks all the way through Nile River. They had used 8,000 tonnes of granite and 5.5 million tonnes of limestone. About 500,000 tonnes of mortar were used in the construction. They had delicately polished the white limestones which are fixed at the top of blocks. Around 1303 AD, an earthquake had caused numerous stones of the Pyramids to lose from the structure. As many as 100,000 workers participated in the construction. Modern archeologists believe that they didn’t use iron tools, wheels, or pulleys for big stones. Instead they had used critical path analysis methods. The Egyptian pharaoh Khufu, who was the Fourth dynasty ruler, had built the ancient pyramids of Giza. What were the Pyramids of Giza Made of? The Pyramids were made of limestones, granite stones, and hundred thousand tonnes of mortar. 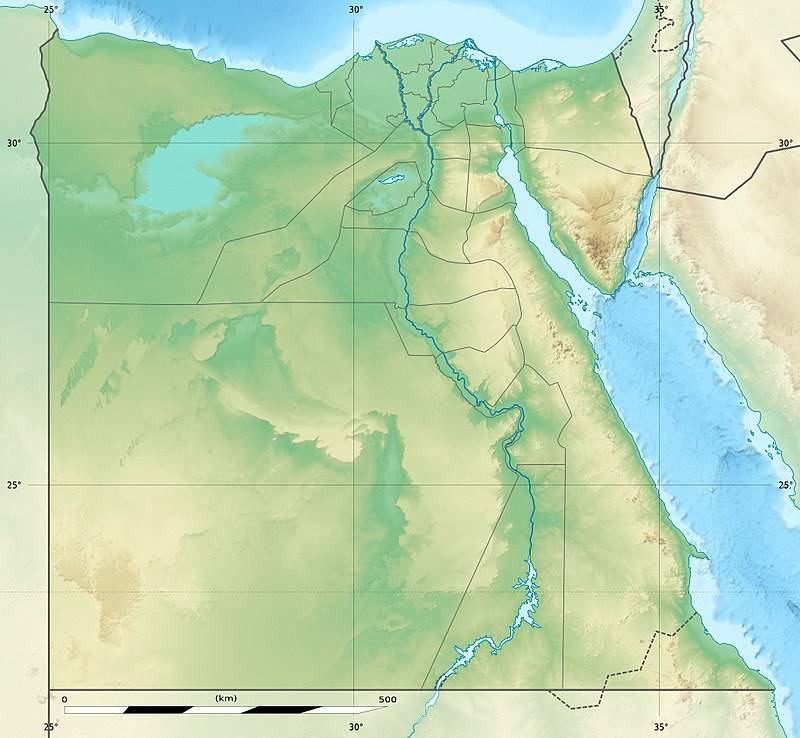 Where are the Pyramids of Giza Located? The Great Ancient Pyramids are located in Al Haram, Giza Governorate, Egypt. According to historians, the Great Pyramids were built somewhere in between 2550 BC and 2490 BC. The Pharaohs Khufu Pyramids are probably the tallest of the three pyramids. Who Designed the Pyramids of Giza? Hemiunu, a Khufu’s vizier, believed to have designed the pyramids. He was thought to be the chief architect. Hemon was the other name of Hemiunu. The main entrance of the Pyramid. Pyramids of Giza facts for kids. The pyramids’ workmen did an incredible job by putting together massive blocks of stones weighing as much as 80 tonnes. They built the mammoth structure in just 20 years, That means they might have probably fixed 10 – 12 granite stones per hour. It’s a rare achievement for there weren’t any technology then. The builders transported huge blocks across the desert and they might have used heavy man-made machineries to pull heavy objects such as this. The height of the pyramids’ entrance is measured at 17 meters or 56 feet. The passage that runs from the main entrance is 3.4 feet in width and only 3.1 feet high. As you go inside the entrance, the passage runs down to an angle of 26° 31’23”. There is a Queen’s Chamber inside the pyramids. The Chamber occurs exactly in between the north and south entrances of the Pyramids. The Chamber’s roof is pointed. The Great Pyramids have a Grand Gallery too. The height of the gallery is about 28 feet and it runs 153.1 feet in length. The base of the Gallery is estimated at 6.8 feet in width. Many chambers were discovered by J. S. Perring and Colonel Howard Vyse in 1837. How Many Tourists Visit the Pyramids of Giza Each Year? The Great Pyramids of Giza have long been serving the Egypt’s economy while playing a key role in tourism industry. According to stats, around 10 million tourists visit the Pyramids of Giza each year. The highest number of tourists showed up in the year 2010 featuring 14.7 million visitors. However, in 2011 the number of tourists was dropped down to 9.8 million.